Lots of people has asked me how do I start creating my pieces and if I start with an idea and then follow up on it. Yes, I find the inspiration all the time from my cultural heritage and folk art from Mexico. Mexico for me is a strong influence, no matter if it is a piece of jewelry, a painting or a paper doll. I like to create pieces that are close to my heart and that have a strong meaning of what I am and where I come from, this gives me the great opportunity to create pieces that can transmit this great passion. Since the beginning of this year I have been focused on creating strong and soulful pieces that will allow me to transmit a story and an emotional feeling. 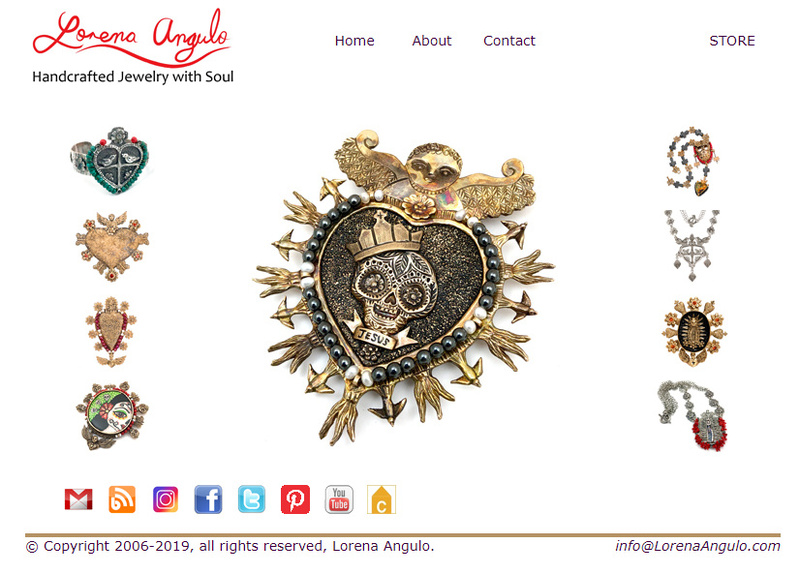 In this occasion I wanted to go back to my beginnings where I was obsessed with making a lot the "Milagro Hearts", they are always close in my heart and I think it is time again I honored this wonderful symbolic icon in my work. I started by sketching my ideas in my book, I have had a sketching book since I started making my work and I always go back to it and see what ideas I still have on paper that are still waiting for me to became real. Sketching is something I enjoy a lot, I think you do not have to be a great drawer to be able to transmit your ideas and I hope everyone will have one no matter what medium you work in. After having my drawing finished then I am ready to start building this piece little by little. Pieces like this have a lot of details and I make each one of them individually by hand; each little butterfly is made alone and this makes them more unique and not looking like they were all cut out from a mold. This is what makes my pieces be more soulful, in my humble opinion. Making each one of the pieces is a joy for me, every single detail has my total attention and this is one of the parts of my process in creating that I enjoy a lot. 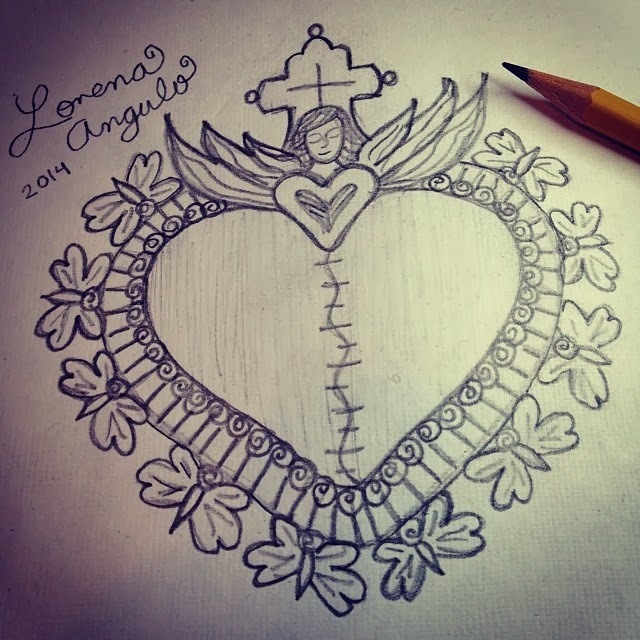 Little by little I will put all the pieces together and finally will have my "Guardian Angel Milagro Heart" finished. I will have more work to do in this piece, finishing more details and then finally attaching all the pieces to the heart. 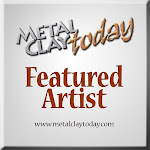 Hope you like my post, I am always happy to share with all of you what I do and how I work.